Jesus did not live with his disciples after his resurrection as he had before his death. Filled with the glory of his divinity, he appeared at different times and places to his people, assuring them that it was he, truly alive in his risen and glorified body. To them he presented himself alive after his passion by many proofs, appearing to them during forty days, and speaking of the Kingdom of God (Acts 1:3). It should be noted that the time span of forty days is used many times in the Bible and signifies a temporal period of completeness and sufficiency (Gen 7:17; Ex 16:35, 24:18; Judg 3:11; 1 Sam 17:16; 1 Kg 19:8; Jon 3:4; Mt 4:2). On the fortieth day after his passover, Jesus ascended into heaven to be glorified on the right hand of God (Acts 1:9-11; Mk 16:19; Lk 24:51). The ascension of Christ is his final physical departure from this world after the resurrection. It is the formal completion of his mission in this world as the Messianic Saviour. It is his glorious return to the Father who had sent him into the world to accomplish the work that he had given him to do (Jn 17:4-5). … and lifting his hands he blessed them. While blessing them, he parted from them and was carried up into heaven. And they returned to Jerusalem with great joy. … (Lk 24:51-52). 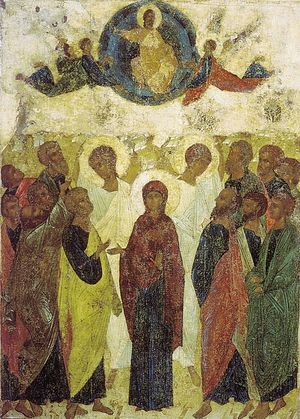 The Church’s celebration of the ascension, as all such festal celebrations, is not merely the remembrance of an event in Christ’s life. Indeed, the ascension itself is not to be understood as though it were simply the supernatural event of a man floating up and away into the skies. The holy scripture stresses Christ’s physical departure and his glorification with God the Father, together with the great joy which his disciples had as they received the promise of the Holy Spirit who was to come to assure the Lord’s presence with them, enabling them to be his witnesses to the ends of earth (Lk 24:48-53; Acts 1:8-11; Mt 28:20; Mk 16:16-14). In the Church the believers in Christ celebrate these very same realities with the conviction that it is for them and for all men that Christ’s departure from this world has taken place. The Lord leaves in order to be glorified with God the Father and to glorify us with himself. He goes in order to “prepare a place” for and to take us also into the blessedness of God s presence. He goes to open the way for all flesh into the “heavenly sanctuary … the Holy Place not made by hands” (see Hebrews 8-10). He goes in order send the Holy Spirit, who proceeds from the Father to bear witness to him and his gospel in the world, making him powerfully present in the lives of disciples. The liturgical hymns of the feast of the Ascension sing of all of these things. The antiphonal verses of the Divine Liturgy are taken from Psalms 47, 48, and 49. The troparion of the feast which is sung at the small entrance is also used as the postÃ”communion hymn. Thou hast ascended in glory O Christ our God, granting joy to Thy disciples by the promise of the Holy Spirit. Through the blessing they were assured that Thou art the Son of God, the Redeemer of the world! (Troparion). When Thou didst fulfill the dispensation for our sake, and didst unite earth to heaven, Thou didst ascend in glory, O Christ our God, not being parted from those who love Thee, but remaining with them and crying: I am with you and no one will be against you! 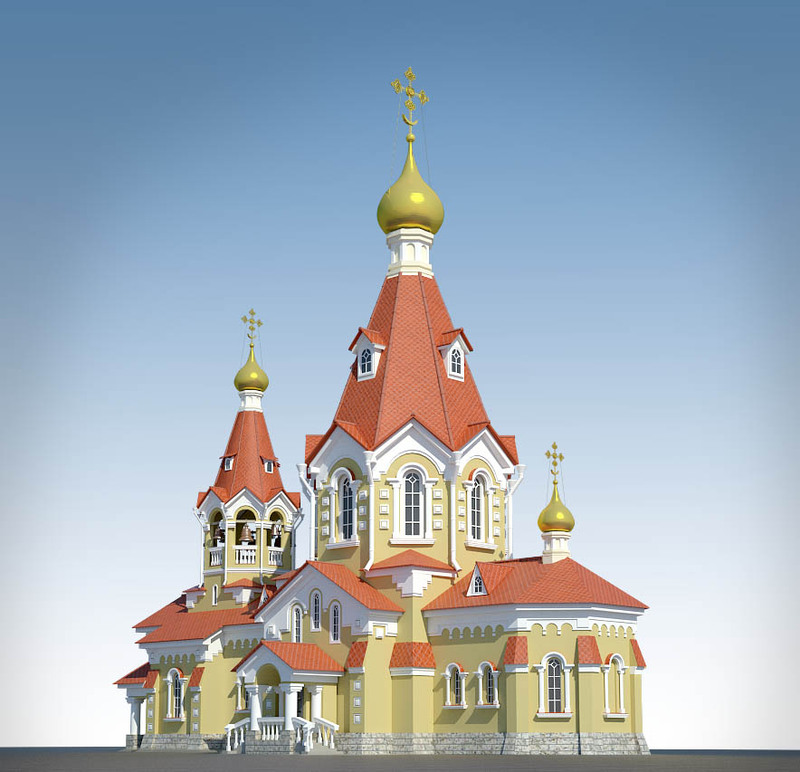 (Kontakion). Let’s Be Partakers! When will holy water truly sanctify us? From Defeat to Victory. The Protection of the Mother of God.